Sanagan's is my top choice for meats in Toronto, run by Peter Sanagan who has much passionate zeal for local, real food. Many cuts of meat displayed have the farmer and or farm name that produced them. Get all kinds of naturally raised, quality healthy meats, fowl, and even ready-made hot food, to go or eat in! I also love their Bufala yogourt- incredibly rich and creamy! Bufala is the same kind of cow-water buffalo hybrid the Italians make their scrumptious mozzarella di bufala from. Very rich and exquisite. Find duck, quail, lamb, beef (of course) chicken that actually tastes like country-raised chicken and various other prepped food such as patés and sausages here, in Kensington market, 176 Baldwin St, off Spadina, south of College. I like a fishmonger that can tell me where the fish comes from. I prefer Canadian caught, or European far north. And Domenic's in the St Lawrence market can. Good fish, fresh, fairly priced. Good fish is not going to be cheap (well, actually Norwegian frozen mackerel, one of my faves he sells is) but it's worth it. Also excellent is his near neighbour inside the market, Seafront. They have decent prices too, and are knowledgeable, helpful, and honest. Remember St Lawrence is closed Mondays. I also buy wild caught sea smelts from Peru at my local Food Basics. 6 bucks for a kilo! Good and tasty when baked and also cheap! They also sometimes carry red fish from Portugal, which are truly delicious. I bake them as well. Fast, easy, tasty. Smaller fish are always better choices for health than larger fish. Farmed fish are an ecological and health disaster, so I always avoid farmed fish. 4 Life Foods, hands down! They just opened up in some new way bigger n better digs!! 210 Augusta, just down the street, in the old Zimmerman's. The owner is on fire about local produce. You'll find an impressive amount of Ontario produce and products here! Also found here are wild foraged Canadian foods, full organic dairy selection, organic groceries as well as some frozen meats and fish. 210 Augusta Avenue, in Kensington market, off of College east of Spadina. Tel; (416) 591-6844. Closed Mondays. 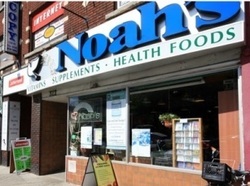 Noah's first store on Bloor, at Spadina looks like a museum dedicated to 1970's health stores, even if it opened in the '80's. I have a soft spot for Noah's because back in 1990 I moved downtown across the street from this place and it was an important part of my organic and alternative education. I used to take almost every pamphlet they had on all kinds of health products and study them, along with free health magazines. Did you know MOST spices sold in Canada are irradiated? Why sprinkle Fukoshima on your food? Noah's bulk organic spices are cheap! Way cheaper than buying for example a small shaker of a name brand of organic cinnamon; buy organic cinnamon in bulk. Refill your containers, or use little jars. You can tare your containers at Noah's cash, and avoid plastic waste. But there are plenty of different sized baggies for you free if you don't bring your own jar. Spices, from A to Z, never irradiated. 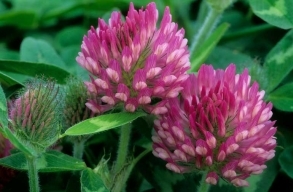 Medicinal herbs too, like Chaparral which is a heavy anti-cancer anti herpes and shingles herb which tastes like turpentine + leather + soap. I should know, I eat it all the time for it's profound anti-oxidant properties, even though I don't have cancer, shingles or herpes :) Also in bulk you'll find different types of granola, USP epsom salts (who else has that in bulk? I defy you to find me a store), and even candied (organic of course) ginger. 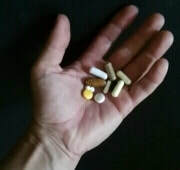 Besides bulk, you'll find a bewildering array of groceries for the health-nut and supplements. 322 Bloor St west. Noah's has 3 other stores; new, flashy and clean and well .. they don't have that '70's granola-head vibe. Herbie's features Roger, the best herbalist I have ever met! 556 Queen St west; 416.504.5755 . Roger has a large following; not only is he a herbs and health human encyclopedia, he really wants to help people. Roger cares, and he's good. Very good. Hence the following. He even makes a mean curry blend! I bought amazing sea lettuce seaweed there, as well as super fresh, soft and amazing bee pollen. The best clay I have ever used to detox ever! Called ZeoForce zeolite clay. Not a lot of health foods but what they do have is unique and just amazing! 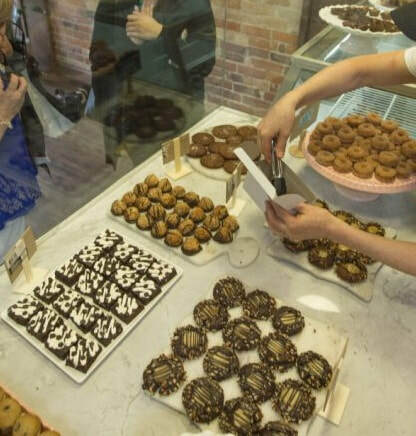 They also sell some ready to eat foods and have a juice bar that is truly healthy. 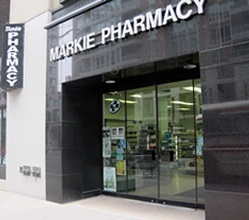 Markie's Pharmacy, run by Markie himself! This is a locally owned, awesome compounding pharmacy. If your Dr. actually prescribes something useful, like say custom blended bio-identical hormone cream for the ladies, Mark or his colleagues can hook you up. 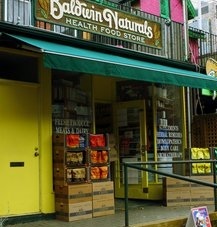 He carries a wonderful assortment of natural products in the store; things I have purchased there include some Kroeger Ginkgo, my favourite kind, and some biotin 5000mcg and a foot pad night time detox herbal thingy from Korea. Genesis One, which has been supplying me with amazing black history materials and also TO's finest Shea butter for years. Places like this ensure I am a regular in Kensington Market! 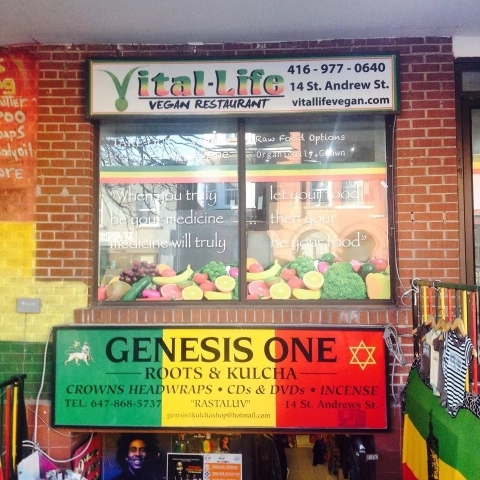 As of August 2018, the space has changed hands a couple of times, and is now called Ital Vital, and run by the restaurant by the same name in Scarborough, at 741 Pharmacy Avenue. Very limited seating. Friendly vibes for sure. They have fresh on-site pressed juices and shake-tonics. Has a DIZZYING array of stuff! Like OMG this diminutive store has more cookies, jams, snacks, drinks, dairy, pasta, candles, beans, bread, just flippin' everything!! I really think they have more products and certainly more Canadian products than Whole Foods (Whole Paycheque is what some friends call it), in a small store. Shelves are packed full, packed and stacked to the rafters! Run by a local couple of Torontonians. Definitely not a chain, but a one-off, local and delivery store. If you can't find it here, you can't find it anywhere! Keto Doughnuts? or Can Bread fit into a low carb diet? Well, read on because I have found the bakery for you! Butternut Baking Co. on Dundas west, a short bus ride north from Dundas west station, in the Junction neighbourhood. I met the two owners and they are very knowledgeable and passionate about healthy eating. Truly an amazing list of ingredients and know-how. Truly healthy frying oils used here; coconut and ethically sourced rainforest friendly palm. I wrote a huge paper in my BSc. studies about these two tropical fats in 1992, several years before the coconut oil craze. Sweeteners are stevia, lo han guo (monkfruit) and some healthy caloric sweeteners in some products. I was so impressed at how we were on the same page; the owners and I, talking about nutrition. believe me, I have met many a clueless RD, masters degreed and PhD'd nutrition person who didn't know the first thing about REAL nutrition and health, so these two were a breath of fresh air. Finally, a doughnut I would eat, and openly recommend. Also on offer is grain free keto friendly breads and a plethora of desserts.